The Invisible Woman: It's a fun flick if you also expect the logic to be invisible. This summer, as every summer, TCM did their Summer Under the Stars festival and featured a star for every day. One of the days was devoted to Virginia Bruce (1910 – 1982), a star I was not very familiar with. She made a lot of films, one or two of which I had seen, but she was just not a name or face that I knew. 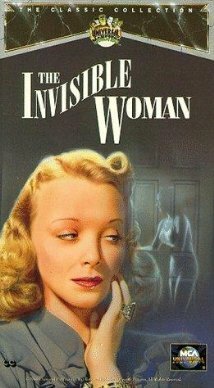 When browsing the TCM schedule I saw a listing for The Invisible Woman for the day with John Barrymore, Virginia Bruce and John Howard and a description of a vaguely sf-ish film, so I made the DVR work. A month has passed and it has been sitting on the DVR, and while I was searching for a film to review, this was the one that spoke to me. This is a charming little film, no great work, not a movie of big thinks or anything special, but it has its moments. Richard Russell is a rich man with a fondness for women and scandal. He is supporting Professor Gibbs (John Barrymore) at his home that spends a great deal of money on crackpot ideas. When Russell finds out he is broke, he cuts off the money to Gibbs just when Gibbs has a potential gold mine. So Gibbs has to amend a personal ad for a volunteer for an experiment to be turned invisible. The previous listing of $3,000 remuneration has to be changed to no remuneration just as the ad is set to run. This elicits lots of snarky mail but only one response which is positive, from a K. Carroll. Gibbs sends a note for Mr. Carroll to be there at his lab the following day, unaware that K. Carroll is actually Kitty Carroll (Virginia Bruce). Kitty works as a model for a dress shop run by Mr. Growley (Charles Lane), who is a mean spirited manager, docking Kitty an hour for clocking in two minutes late and firing another girl for having a cold. Jobs are hard to come by and he can get away with this. Kitty is willing to become invisible so she can give him what for. Gibbs is, of course, surprised when K. Carroll turns out to be female and upset when she disappears from the lab as soon as she is invisible. This causes Russell to doubt the Professor’s veracity, much to the delight of his butler, George (Charles Ruggles) who dislikes the Professor intently. Russell heads out to his cabin to get away from everything including the Professor. Kitty has to take off her clothes to be invisible, but she gets her revenge on Growley, pretending to be his conscience. She kicks him, destroys some dresses, and rips the time clock off the wall. 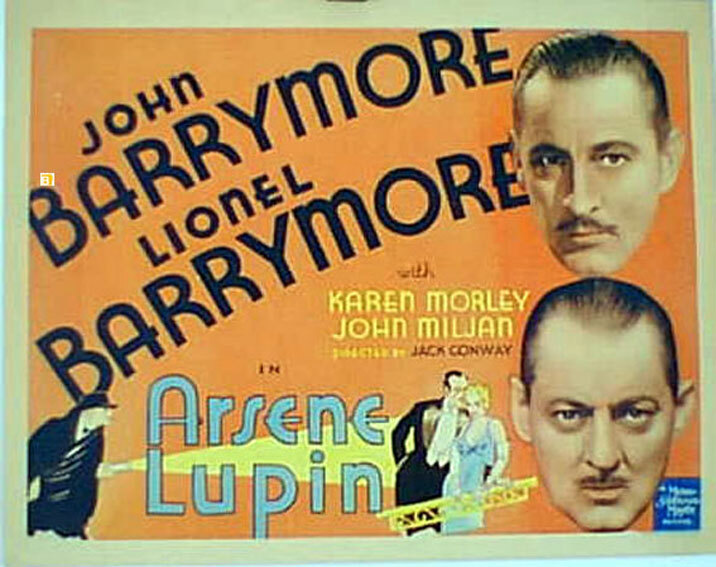 When she returns to the Professor’s lab, he is being menaced by some thugs led by Foghorn (the wonderful Donald McBride) and his men, including Frankie (Shemp Howard, in an unexpected role). Foghorn works for criminal Blackie (Oskar Homolka) who is hiding out in Mexico unable to return and homesick. Kitty spooks the thugs and they exit. Gibbs and Kitty go to the cabin, where they get caught in the rain. Kitty tries to warm herself up with some brandy and it increases the invisibility. Eventually Russell begins to believe that the gizmo works while Kitty has to sleep off her booze. When they return to the lab, they find that Foghorn and his men have stolen all of the equipment (but not the injected serum) which helps control the process. In Mexico, Foghorn is volunteered to try the process for Blackie and, without the injection, finds that it makes his voice higher and his height lower. Enter Kitty and the Professor to try and reclaim the equipment, while Russell, who is falling in love with Kitty, follows. True love triumphs and the film closes with Russell and Kitty examining their baby boy some distinct time in the future. The child promptly fades away. As I said, not a major film, but I had fun with it. Common sense does not bother to intrude into the film plot. But I enjoyed it. In addition to Shemp, another surprise guest was Margaret Hamilton, just a year after the Wizard of Oz as Gibbs’ housekeeper. Also Maria Montez appears briefly as one of Kitty’s co-workers modeling dresses. Don’t rush out to find it, but if the opportunity presents itself, it’s worth a watching.